Venus in Sagittarius: freedom, freedom, freedom! Venus in Sagittarius – Venus is the planet of beauty and luxury. It is linked to our feminine side and how we look. The way we love and the type of people we attract is also influenced by it. Now, get to know more about Venus in Sagittarius. Jupiter is the ruler of Sagittarius and fire is its element (just as Aries and Leo). This combination is a little tricky for Venus. 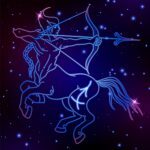 As Sagittarius is a very expansive sign and that values ​​freedom, the person who has Venus in Sagittarius will have some difficulty in fixing on love. This does not mean that they do not love or do not want to get involved with someone. It is that they fear so much for their freedom that they think twice about risking losing it. In fact, it is even paradoxical, because Venus in Sagittarius will cling to people and even feel jealous, but do not want others to do the same with them. Those are beings that hate to feel under control. They are and will feel attracted to cheerful and communicative people. They are passionate about long philosophical conversations about the origin of the world, for example. Religion-related issues and esotericism give them pleasure and make their heads boil in a positive way. Jupiter is the largest planet in the solar system and the affective personality of Venus in Sagittarius is just like that. They value the space where they can give vent to their broad side of seeing life. The goal is to evolve and expand as much as possible. Except for the fear they have of engaging in serious relationships, they usually relate to others in a well-resolved way. They love the truth and are 100% honest. They feel disturbed if they are not allowed to say what they feel. And it is common for their over-frankness to hurt the partner. Another paradox of this Venus is that it preaches a kind of free love, but it is very much linked to moral values. Their essence is of old-fashioned lover and they like tradition. They will refuse someone who somehow goes against their principles, which are well defined. Physically speaking, they may be interested in people who have a more classic beauty. And beyond beauty, there is an intellectual identification. If this does not happen and the person has different ideals, they probably will not move forward. Because they also do not want to lose their intellectual freedom and the power to say what they think. These people like adventures. They will propose as many trips during a year as spontaneously as possible. For them, there is no work to pack and land in a different place. The relationship with them will never be tedious. On the contrary, they will do everything to prepare surprises and expect the same from the partner. Their sexuality is also wide. They are humorous, they enjoy joking and making the intimate environment comfortable for each other. Venus in Sagittarius do not have issues on its mind and do not like complications. This makes them perfect partners who are never sad and are always enthusiastic. Ready for anything and anytime.